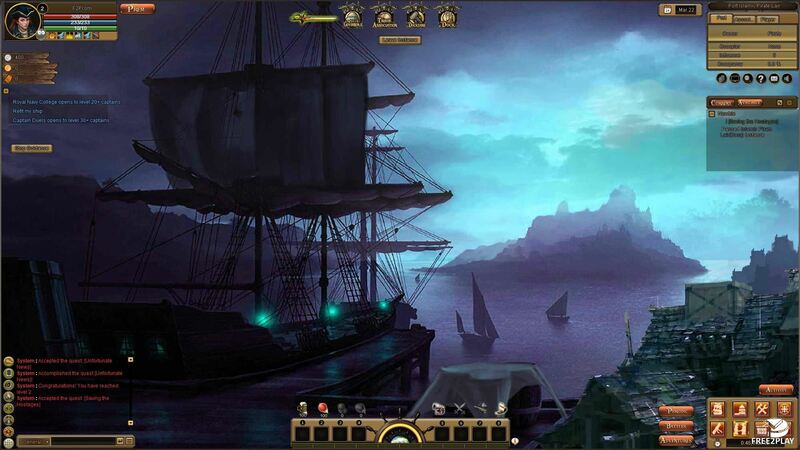 Seven seas saga is a nautical mmo rpg where players take the role of a captain with his own ship, who sails across the seas along with his crew to make himself a name and get rich. Featuring gorgeous graphics and casual gameplay for all publics it can also be played on a browser. 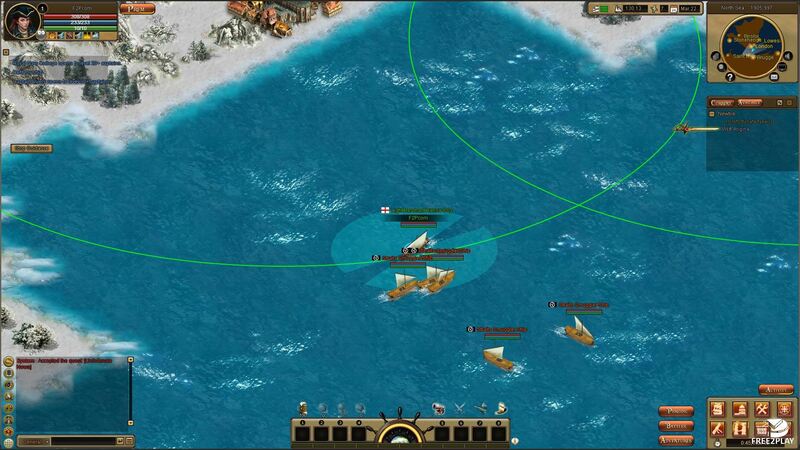 -	Build your very own ship and upgrade it, structures, rooms, and getting new equipment like cannons or armour. -	Seek out treasures and follow the storyline, there are even daily and weekly quests to keep you entertained and covered with rewards. 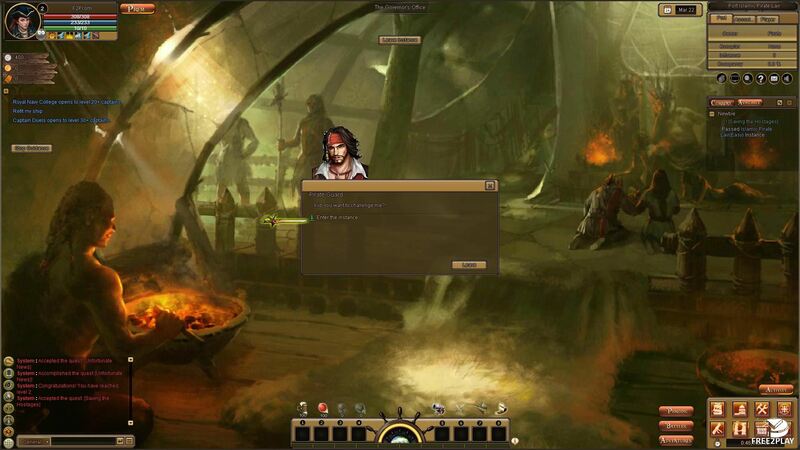 -	Create your own guild or join an existing one to join other players for a better experience. -	Fight against other players in different PvP modes. As you move forward in the story you will be able to upgrade and improve your ship and crew, by getting new stuff for the ship, or increasing skills and stats of your crew. You can also improve your character from skill books that you can get through PvE content, and this will improve your Navy officer rank and stats, which will grant you more weekly rewards. 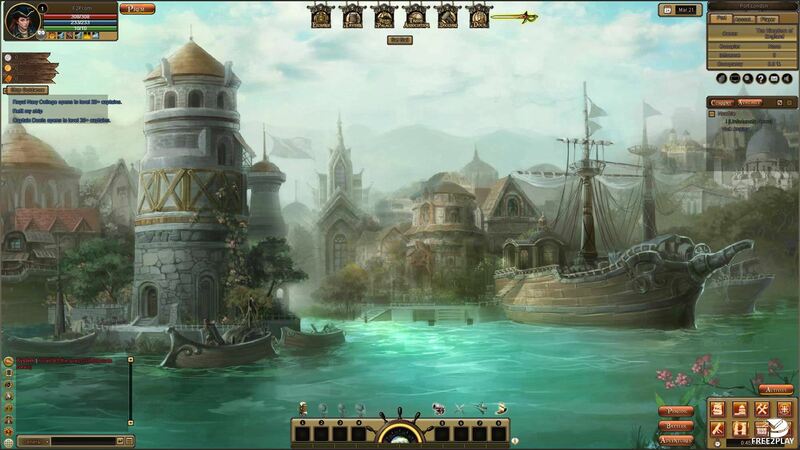 The crew has an important role as well so players want to keep improving their stats and abilities constantly, or even getting new members from a tavern, they have specialties that must be taken into account when hiring them, so having all specializations covered can grant a big bonus during sea battles and other rough situations. Players can create guild and join other's guilds when they reach a certain rank, once they're part of a guild, they can donate coins to the guild and get contribution points in exchange which they can use to get ship parts and other items. As the guild levels up and get new buildings more items become available for the members to buy and better buffs they get. Furthermore, several guilds can join forces creating an Association. The Guild leaders have to talk to the King or Queen of the country they're on to create it, once they invest in their ports they can also launch a port siege battle against another port which belongs to other associations. World PvP ¬– When players hit L 30 the PvP mechanics are activated so players can fight each other, they can activate a peace mode, in which they won't attack accidentally another player, but they can still be attacked. Captain Duels – There is a ladder where all captains are displayed with ranks and statistics, players can duel them from there and try to take them down gaining their position in the ladder and a temporary buff. Every day the best captains will be rewarded. Port Siege Battles – These are the high end PvP content, epic scale battles between two associations to take over or defend a single port that takes place at specific times during the day.